IPDM E/R activates the internal control circuit to perform the relay ON-OFF control according to the input signals from various sensors and the request signals received from control units via CAN communication. 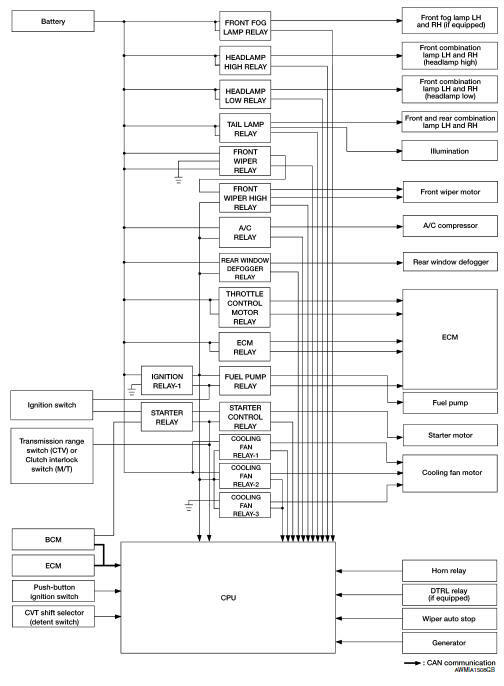 Ipdm e/r integrated relays cannot be removed. Ipdm e/r incorporates a power consumption control function that reduces the power consumption according to the vehicle status. 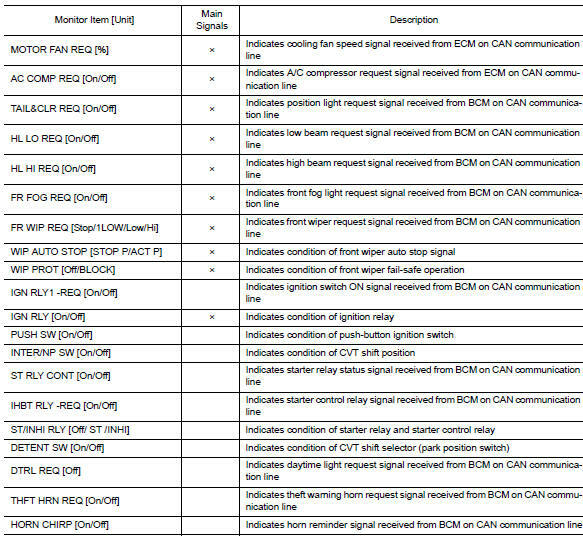 Ipdm e/r changes its status (control mode) with the sleep wake up signal received from bcm via can communication. Can communication is normally performed with other control units. Individual unit control by ipdm e/r is normally performed. Low power consumption control is active. 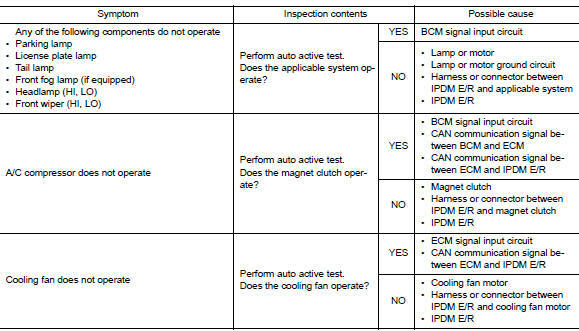 Ipdm e/r judges that the sleep-ready conditions are fulfilled when the ignition switch is off and none of the conditions below are present. Then it transmits a sleep-ready signal (ready) to bcm via can communication. Output requests are being received from control units via CAN communication. Ipdm e/r stops can communication and enters the low power consumption mode when it receives a sleep wake up signal (sleep) from bcm and the sleep-ready conditions are fulfilled. Ipdm e/r changes from the low power consumption mode to the normal mode when it receives a sleep wake-up signal (wake up) from bcm or any of the following conditions is fulfilled. In addition, it transmits a sleep-ready signal (not-ready) to bcm via can communication to report the can communication start. 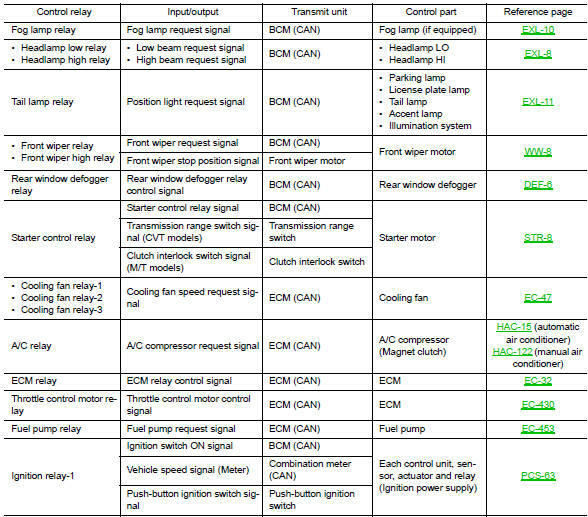 An output request is received from a control unit via can communication.